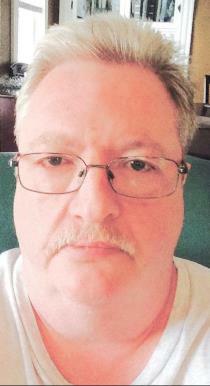 Kevin J. McDermott, 62, of Lowell, died Sunday, March 31st at his residence. Born in Lowell, Massachusetts, December 29, 1956, a son of the late Brendon J. and the late Maureen V. (Cox) McDermott, he attended St. Patrick Grammar School in Lowell and was a graduate of Central Catholic High School in Lawrence. 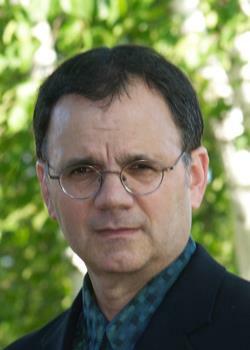 Before retiring, Kevin was employed as a chef at Chelmsford Crossings. Previously, he worked in that same capacity at the Radisson in Chelmsford and the former Prince Grotto in Lowell. In addition to his love of cooking, he was a coin collector, very politically active and an avid Red Sox and Patriots fan. Kevin is survived by a sister Kathleen A. Perham of Chelmsford; a brother Brian F. McDermott of Brockton MA; a niece Ashling M. Perham of Chelmsford; two nephews Shaun P. McDermott of Lowell and Brendon W. Perham and his wife Julie of Chelmsford; a grandnephew Jameson W. Perham; his former sister-in-law Mary I. Day of Townsend, MA; his former brother-in-law William R. Perham of Laconia, NH; and his dear friend Becky Lawrence of Milan, Ohio. There will be no calling hours. Relatives and friends are invited to attend his Committal of ashes on Friday morning, April 12th at ST. PATRICK CEMETERY CHAPEL in Lowell at 11 o’clock. E-Condolences at www.odonnellfuneralhome.com. Those wishing may make contributions in his memory to St. Patrick Grammar School, 311 Adams St, Lowell, MA 01854. Arrangements by the O’DONNELL FUNERAL HOME, Lowell, MA (978) 458-8768. 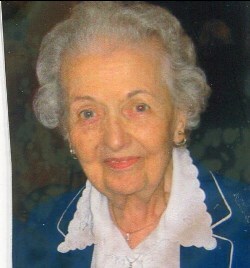 Bernadette (McGuire) Galvin, 94, died Saturday, March 30 at Lowell General Hospital surrounded by her loving family. She was the beloved wife of Thomas F. Galvin, who died in 1978. Bernie was born on Feb. 11, 1925 and raised in Lowell, the daughter of Peter and Florence (McGrath) McGuire, and graduated from Lowell High School. 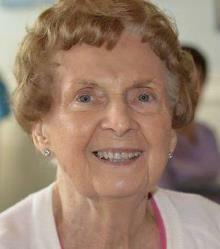 She lived in Chelmsford for many years and was a parishioner at St. Mary’s Church. She worked in higher education for more than 20 years, including as executive assistant to then Vice President Mary McGauvran at the University of Massachusetts Lowell before retiring in 1989. In her younger years, Bernie was an avid bowler, earning many championship trophies, and until very recently played bridge weekly with friends and fellow residents of Chelmsford Crossing. She had enjoyed travelling, especially annual trips to Florida, and summer vacations at Newfound Lake and Seabrook beach. She also seized every opportunity to partake of her favorite delicacies, lobsters and chocolate, and spend time with her grandchildren and great-grandchildren, who brought her much joy later in life. She was known for her wry wit, sly smirk and ability to tell it like it is. She is survived by two sons, Michael Galvin of Chelmsford, Peter Galvin and his wife Sharon of Dunstable; and one daughter, Patricia McCafferty and her husband Matthew of Andover; 8 grandchildren, Peter Galvin and his wife Crystal, Matthew Galvin and his wife Elizabeth, Thomas Galvin and his wife Kiley, Michael Galvin Jr. and his wife Andrea, Kristen Montplaisir and her husband Eric, Kali Reed and her husband Christopher, Matt McCafferty IV and Meghan McCafferty; 9 great-grandchildren; her sister Dorothy McGuire; and several nieces and nephews. Friends may call at the O’DONNELL FUNERAL HOME 276 PAWTUCKET ST. at Fletcher from 4 to 8 P.M. Wednesday. Relatives and friends are invited to attend her Funeral Mass to be celebrated Thursday morning at ST. MARY CHURCH in CHELMSFORD at 11 o’clock followed by burial in St. Patrick Cemetery in Lowell. E-condolences at www.odonnellfuneralhome.com. Those wishing may make contributions in her memory to the Sacred Heart Endowed Scholarship Fund at UMass Lowell, Charles J. Hoff Center, 1 Perkins St., Lowell, MA, 01854 or at www.uml.edu/givenow, indicating Sacred Heart. Arrangements by Funeral Director James F. O’Donnell, Jr. (978) 458-8768. 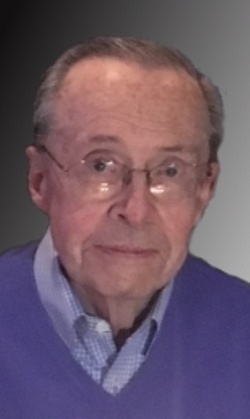 Walter Everett Dartley Jr., 81, passed away peacefully in the company of his family on Thursday, March 28, 2019. 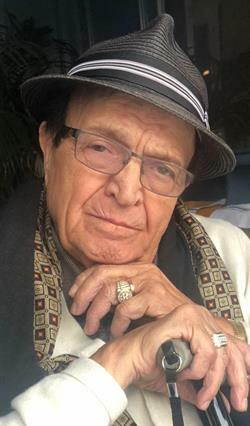 Born and raised in College Point and Bayside, Queens, New York, Walter spent much of his life devoted to the cause of the Society of St Vincent dePaul and was an avid collector of many interesting things including logo golf balls and pens. A proud veteran Sergeant in the US Army, serving in the Military Police, the phrase “shave, shower and shine” was his motto. Walter was a marketing representative for both Blue Cross/Blue Shield of Massachusetts and Fallon Community Health Plan for 30 years. Walter enjoyed cribbage, poker, and golf and was a member of the Campbell Division 19 of the Ancient Order of Hibernians. He was an active member of the Immaculate Conception Church. In addition to St Vincent dePaul, Walter was an usher and member of the Nocturnal Adoration Society, the Holy Name Society and the Oblate Mission Guild. Walter is survived by his wife Patricia, on whom he doted, and his daughter Maura Dartley-Rocco, son-in-law Todd Rocco and granddaughters Caitríona and Céire Rocco as well as his sister Margaret H. St. Peter, niece Patricia M. (Jeffrey) Doherty, nephew Gerald W. (Jamie) St. Peter, sisters and brothers-in-law Eleana T. Brennan, Edward J. (Paulette) Brennan, and Thomas W. (Suzanne) Brennan; nieces and nephews, Mary Anna Brennan, Ellen (John) Spoehr, Joseph (Amy) Brennan, Jonathan Brennan, Martina (Richard Hanrahan) Brennan, Bridget (Richard Moon) Brennan, Kathleen Brennan, Alicia (Edward) Swiatek and Edward Brennan as well as many cherished grand-nieces and nephews. 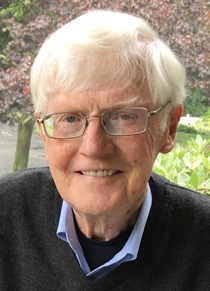 He is predeceased by his mother, Mary Carlotta (Dowling) Dartley, his father, Walter E. Dartley Sr., his brother-in-law Gerald R. St. Peter and niece Ann Margaret Carey. Relatives and friends are invited to attend his Funeral Mass to be celebrated Tuesday morning at the IMMACULATE CONCEPTION CHURCH in LOWELL at 11 o’clock followed by burial at St. Mary Cemetery in Tewksbury. There will be no calling hours. E-condolences/directions at www.odonnellfuneralhome.com. In lieu of flowers, donations may be sent to the St Vincent dePaul Society of the Immaculate Conception Church, 3 Fayette Street, Lowell MA 01852 or EC Week, Camp Fatima 32 Fatima Rd., Gilmanton, NH 03837 or ecweek.org. Arrangements by Funeral Director James F. O’Donnell, Jr. (978) 458-8768.